GENN established in the year of 1994, GENN Controls India Pvt. Ltd. specializes in Color sorter, Industrial automation and Electrical panels. 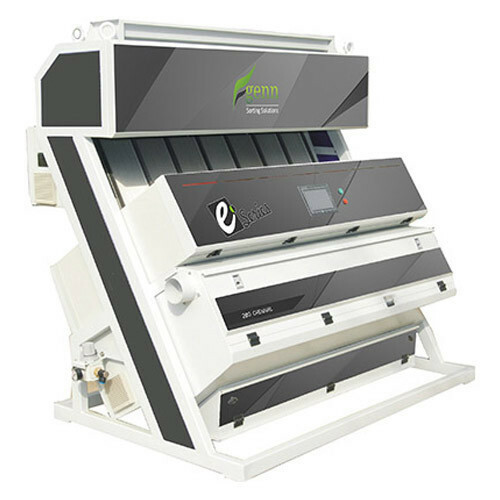 GENN is one of the largest supplier of Color sorter machine in India. GENN becomes the most innovative independent national brand and leads the field of rice mill industry and textile industry for color sorter with Latest technologies. In the field of Agriculture Processing industry, GENN has developed many products such as Color sorters (Rice, Dhal, Wheat, Cashew nuts … etc. ), Bagging Machine, Moisture Meter, Steam Controller, Husk feeder., etc. In the field of Textile industry, we manufacture Cotton vision sorter, Fire Detectors, Metal Detector. It will continue to lead the innovation revolution in the Agriculture processing & Textile Industry. Since the incorporation in the year 1994, our company Headquaters in Coimbatore, TamilNadu, TN, India, we GENN Controls India Private Limited has achieved renowned position in the market. We are instrumental in manufacturing and trading a high quality range of Food Processing Machine, Textile Processing Machine and many more.